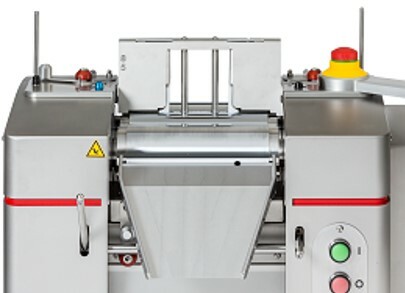 The new 80E PLUS three roll mill delivers faster dispersing results with real-time process analysis. 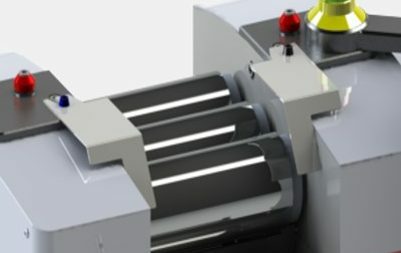 By combining high-precision mechanical design with a state-of-the-art electronic control system, EXAKT has created the new standard for three roll mill technology. Users will have more information than ever before, and the ability to make adjustments on the go. Meets or exceeds the safety requirements specified in ANSI. Formulators require increasingly more functionality and quality in their suspensions. 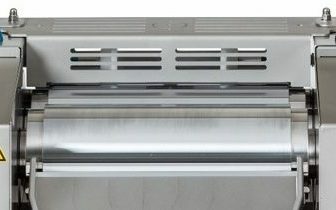 This can only be achieved by high-performance three roll mills. 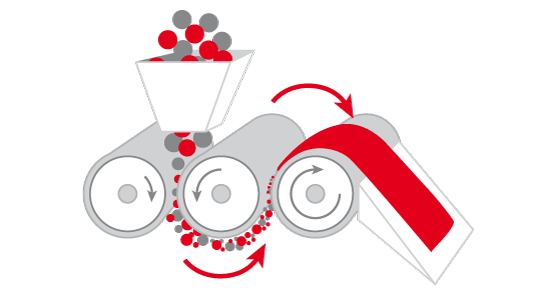 Only the three roll mill used in the dispersing process guarantees that 100% of the product will be passed through both shear zones. 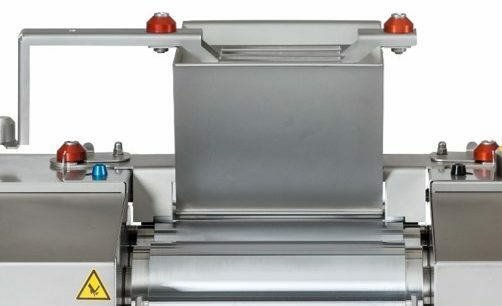 EXAKT’s three roll mills deliver excellent results which are consistent and reproducible. *Roller characteristics are a comparative representation between the four different roller materials. Available in three different widths 85mm, 170mm, 200mm. Better protection when working with open gap. Sensor controlled – machine cannot be operated without safety device. Product is only in contact with roller surface and plastic guide. For small batch sizes or press-out safety device. Sensor controlled – cannot be operated without safety device. Protects from accidental contact with products that tend to splash. 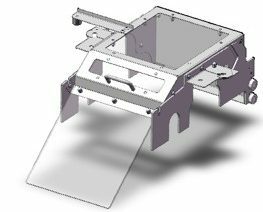 Recommended for 200 mm working width and high-production speed. 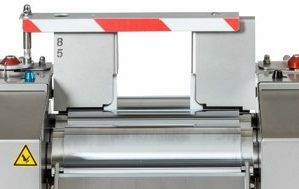 Removable guard covering the entire roller area of the mill. Access door with plexiglass window.